Customize your dream Alaska vacation with our Alaska Custom Tours. Your Customized / Charter day begins right at your Fairbanks accommodation with a free guests pickup, so you don’t need to plan how to get to us and you will save additional taxi costs. Contact us with your ideas of a perfect Alaska vacation and one of our Alaska travel experts will help to make your dream comes true. 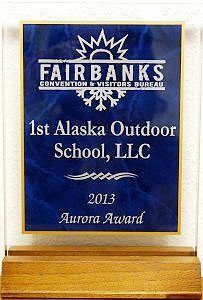 Our experienced Driver/Guide will bring you to any location in Alaska. We travel with 12-15 passenger vans, trailer available. Price calculated by time and road conditions.